Ahh Monday, you never fail to come right as the weekend starts to get relaxing. 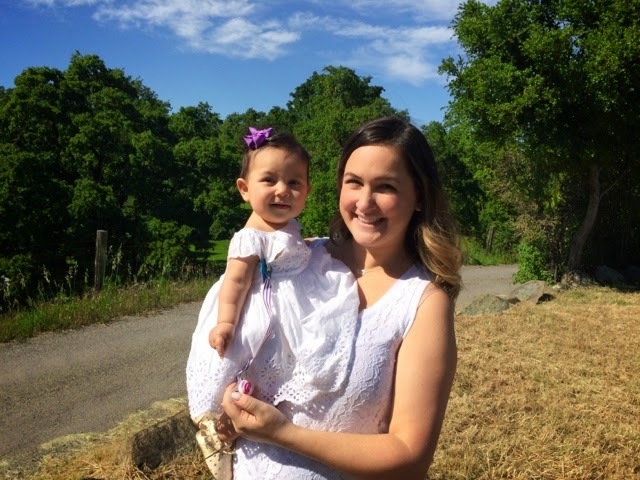 This weekend we enjoyed some beautiful weather up in the wine country. One of my best friends is having her second baby and we all attended her sprinkle. It was a fun day but lots of time in the car. 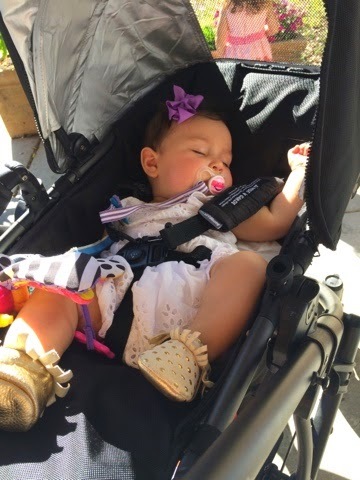 Luckily P is such mellow baby and didn't get fussy. Other than that the weekend was pretty low key! David bought all the veggies for our garden on Sunday and I spent ALL DAY making baby food and snapping this ones mug. Also wanted to say thank you to everyone who linked up on Friday for our new Can't Live Without It series. We hope you join us this Friday in case you missed out last week! yall look so, so gorgeous! i want to squeeze her! I live so close to wine country here and have never been! I think you just inspired me to go :) Love your twinning outfits! Can I just say I'm loving your shorter hair?! You look so great!! You look gorgeous, and P is just the cutest! Your photography skills are getting really good! 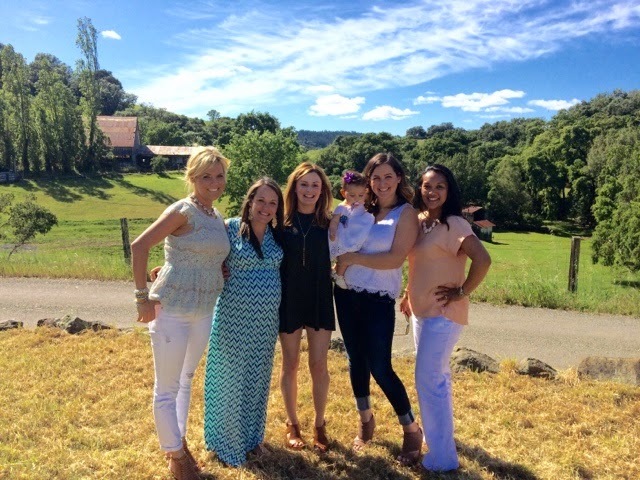 A baby shower in wine country? Sign me up all day long! How fun and the scenery is just gorgeous. I love making my own baby food, it's so easy! I'm also jealous of wine country adventures!